If you’ve ever asked yourself “what’s the best bedding for a chicken coop,” the first thing you should know is, for some reason, this is a very controversial topic in the chicken world. What’s the best bedding for a chicken coop? I think it is very interesting how people get emotional about something as simple as the best bedding for a chicken coop, because I think, like anything in life, there’s a wide range of answers, and all that matters is what’s best for you and your flock. There is also some argument out there that the best bedding for chickens is very simple (this is if you don’t consider most bedding for chicken coops to be simple), because if it turns into this huge job, nobody is going to want to clean their coop. But if you are doing your best job cleaning your chicken coop every week, it shouldn’t turn into a big job, regardless of your chicken bedding choice. Now, the other really interesting thing I’ve noticed is that a lot of people assign a moral value to a very innocuous choice. (Of course, naysayers would say it is not innocuous, but really, something like whether it’s best to choose sand or straw for your coop is an innocuous choice in the grand scheme of things – let’s face it), and it’s really interesting that as a society we decided to assign a moral value to whether or not someone agrees with our individual choices. So, going into this discussion of the best chicken coop bedding, we aren’t assigning moral values to whether you choose to use sand, shavings, straw, or whatever. You’re not a good person if you pick one, and a bad person if you pick another. 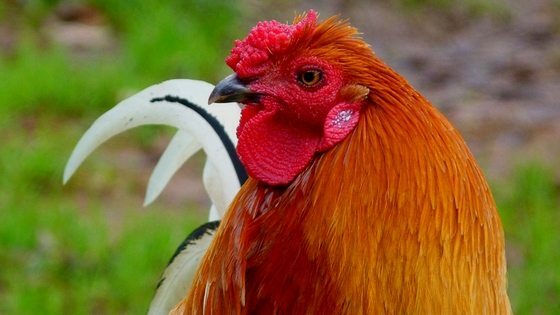 In this article, we are going to discuss the 5 best chicken coop bedding choices, but the best takeaway I can offer is no matter what bedding you choose, if you do not clean your chicken coop regularly, it’s useless. 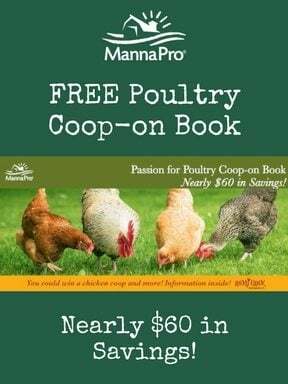 Even with the best chicken bedding ever, if it’s not cleaned regularly, your coop is going to be nasty and smelly, and it will harbor disease, pests, and mold. This article is just a basic rundown of your bedding choices. You can go home to your own chicken coop and decide what works for you. The chicken bedding choices we are going to discuss in this article are straw, hay, shavings (including small and large shavings, as well as sawdust), dirt, and sand. Straw is a perfectly acceptable choice for bedding. (Full disclosure: We actually do use straw for no reason other than it is readily available, and it is clean and dry.) There are some groups out there that would lead you to believe you are a terrible, horrible chicken owner if you use straw. According to these thinkers, straw will harbor bugs, mold, and moisture. Does straw retain moisture? Well, I personally disagree with that line of thinking. In addition to owning chickens, we are also large animal owners. So in any given year, we have plenty of livestock births on our property, and we do it in straw, and that’s because it’s clean, low dust, and absorbent. The top farms internationally use straw, and so do some veterinary clinics. When you’ve cleaned horse and pig placenta out of a straw-lined stall, you get a very good sense of whether it is a good, absorbent, bedding choice. I can tell you from my experience, it works very well to keep disgusting messes at bay. Will it harbor mites, bugs, and diseases? Possibly, but the truth of the matter is that any chicken bedding is going to harbor something. If you are cleaning your coop regularly, mold, mites, and disease should not be an issue. You can use things like peppermint essential oil or other things in your coop to reduce the amount of mites if you’re concerned about straw. Hay is another option on our list of the best bedding for chicken coops. Hay is dried grass, but unlike straw, it’s not totally dry. There is some moisture content to it, and it is more likely to mold. Hay also has the potential to harbor bacteria, pests, and mites. I have used hay in the past when it is more readily available (for example, if we have a bale that’s not adequate for horses, but still okay in the chicken coop for a week). If you are using hay, and you’re regularly cleaning your coop, you are less likely to run into issues like respiratory diseases and mites. Shavings, which include small flake, large flake, and sawdust, are very clean and they are absorbent. But because they don’t allow air to flow, if they get wet, you need to replace them with dry shavings, because it’s likely to get moldy and stinky. Dust from shavings can cause respiratory diseases, especially if you are using it in a closed coop situation, and especially if you tossing it to reduce the smell or mold, and to clean up whatever poop may be in there. In addition, chickens can eat the shavings, and it can cause a crop impaction. Dirt is another option for bedding, but unlike the other choices on this list, I don’t think it’s the best bedding for a chicken coop. It can smell very quickly and very easily because there is nothing absorbing the urine and feces. Because of this, dirt can harbor pathogens such as salmonella and campylobacter (i.e., the sort of pathogens that occur in a chicken’s gut), and that can increase the pathogen load in your chickens, and potentially in your eggs. Sand seems to be very controversial in the chicken world. People who use sand say it’s the best because it doesn’t contain bad bacteria or smell, and it is very easy to clean. We do not personally use sand because I am concerned about the smell factor, and also because it seems a little bit like kitty litter to me, where you are constantly having to lift stuff up. It’s extremely humid where we live, and it rains a lot, and it’s not the best option for us. On the other hand, people who are against sand report it causes crop infections, it can be dusty, and sand is known to harbor bacteria like E. coli. Chickens already have a small amount of E. coli in their gut, and honestly, anything out there can harbor E. coli, such as shavings, sand, and straw. Sand also has the potential to cause respiratory diseases (but so can sawdust, shavings, hay, and mold). It can also cause things like coccidiosis, and it can harbor mites. If you are using straw, hay, or shavings, adequate ventilation is going to reduce that moisture. Make sure to have windows in your chicken coop open and to leave the doors open during the day if they are allowed to go outside. Just remember that regardless of the bedding you choose (even if it’s the best in the world), if you do not clean your coop, it is going to be nasty and your chickens are going to have a poor living environment. What do you think is the best bedding? Leave a comment below! 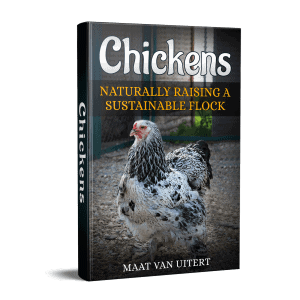 Chickens: Naturally Raising A Sustainable Flock is my best selling book about raising healthy hens! You’ll learn how to handle sticky first aid situations, raise baby chicks with the week-by-week checklist, how to give the best care even in the worst weather, and more! I line the coop with newspaper and cover with 2 to 3 inches of shredded cardboard . I do a superficial clean once a week . By this I mean I pick up any visible clumps of poop replace any thinned out areas with more shredded cardboard and check for any mites etc . This takes about 10 to 15 mins . Once a month I just empty the entire coop floor by rolling the cardboard in the newspaper and chuch the whole lot into the compost bin . Then I spray and clean with poultry Sheild . Dust corners and roosting bars with diatomaceous powder and layer with newspaper and shredded cardboard. This process takes about an hour . The cardboard I shred myself using a 11 sheet crosscut shredder.